DHI-Provo is a unique company created by people who understand herd and feed management because we have hands-on experience in the industry. As a direct result, our company is a premiere developer of herd and feed management software processing 1.6 million animal records regularly in 31 states and South America. Besides our distinguished track record with decades of experience, we also offer an expert staff and unmatched customer service with a friendly, personal touch. Our personalized service means we provide herd owners, managers, consultants, veterinarians, extension specialists, and technicians the best software and services—all at very competitive prices. liss Crandall, widely known as the “father of computerized dairy records,” founded DHI Computing Service in the early 1950's. DHI quickly became the premiere choice in processing dairy records for herds throughout the United States providing dairy management software tools to help clients increase profits and directly affect their bottom line. In 1964, DHI's reputation generated enormous interest from the members of banking industry, who approached DHI about processing financial data. Eventually, a Salt Lake City medical clinic requested medical data services. DHI then reorganized as a parent company, DHI Computing Service, Inc., and created specific divisions to serve these industries: Financial Processing Systems, now called FPS GOLD, for the banking industry, GOLDPoint Systems for the consumer finance industry, andPCIS GOLD, for the healthcare industry, offering practice management services. The dairy services were organized into DHI-Provo, offering herd and feed management software and records processing. From the punch-card tabulators of yesterday to the high-speed world of computers and telecommunications, DHI Computing Service, Inc. continues to provide the latest technology for the dairy industry, the healthcare industry, and the banking and consumer finanance industry. 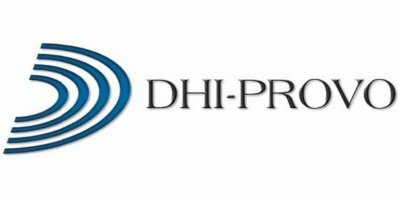 DHI-Provo is a company dedicated to providing data-processing solutions to the industries we serve. Our expertise spans all facets of data processing: software programming, telecommunications, equipment utilization, systems, computer operations, and customer support. Our wide-ranging proficiency, coupled with our broad customer base, make DHI-Provo a strong and growing company. We at DHI-Provo know that a software company is more than bits and bytes—we’re people serving people. So we invest in our people and services to better serve our clients. Innovation has been a hallmark of DHI-Provo, utilizing the latest technologies in applications for dairy producers. We constantly train our developers so we can produce regular upgrades and new innovative features. And happy, healthy people offer the best service, so DHI offers health benefits and encourages a healthy lifestyle. For DHI-Provo employees, it truly is an extraordinary place to work.